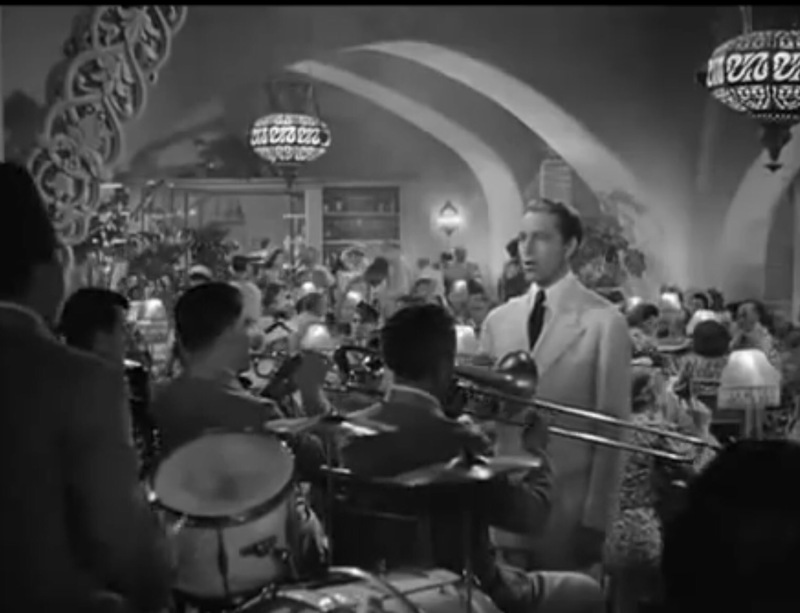 In the 1942 American movie Casablanca, the dashing café proprietor Humphrey Bogart instructs the band to start playing a certain piece, so as to thwart a group of Wehrmacht officers gathered at the piano, singing of their love of fatherland. It is the Marseillaise, the once-forbidden anthem of France. Composed in 1792, its music is pleasing, and the words that talk about freedom inspire: Liberté, liberté chérie. In this café scene, Hollywood is at its best, showcasing proud defiance against the oppressive foreigners, ‘contre nous de la tyrannie…’ — except that it is ridiculous, and unbecoming in a thinking man, to denounce the Germans while at the same time reveling in the occupation of Morocco by France. But nationalists are not fastidious about logic, as George Orwell pointed out in a critical essay on the subject in 1945, with the hypothesis that a British Tory would support self-determination in Europe while opposing it in India. In 1971, in Orwell’s land of birth, a Hindi movie song lauded India’s achievements — that India was the first birthplace of art, and where civilization first arrived, and that if India had not provided the notion of the zero, it would not have been possible to achieve the then recent moon landing of 1969. The reasonableness, or lack thereof, of these assertions notwithstanding, it is fascinating that this proud work uses the English word for ‘zero’ in the text, obviously deeming the Hindi equivalent ‘शून्य’ (taken from the Sanskrit) inadequate. It would appear that had England not provided the word (derived from the Sanskrit, via Arabic and Latin), Bollywood would have been unable to create this evidently nationalistic song. Nationalism, inherently linked to ideas of racial purity and racial superiority, has over many years — colonial exploitation, destructive inter-European wars, the Dantesque Holocaust, Apartheid, the threat of nuclear war — shown that it is incompatible with, and the enemy of, the idea that all human beings have the right to live with dignity, to enjoy freedom, and to access the cultural and scientific resources of mankind. As a philosophy, nationalism is especially remarkable given that one of its fundamental concepts is the border of a nation state — this is entirely arbitrary, and tends to move back and forth with time, a point made by one of nationalism’s greatest proponents, Adolf Hitler. It is 2016 — and nationalism continues to not just raise its ugly head, but sadly to thrive, in India (tone of public discourse against diversity and dissent, physical violence), Germany (rabid hostility towards asylum seekers, Ausländerfeindlichkeit), France (Déchéance de nationalité? ), the U.K. (Brexit? ), the USA (presidential campaign rhetoric), Switzerland (Durchsetzungsinitiative) and elsewhere. From very rich countries to shockingly poor ones, the naked slogans of nationalism seem to appeal — and freedom, dignity, and critical thinking denigrated. The Marseillaise knows the reaction of the lovers of Liberty, ‘..quel outrage! Quels transports il doit exciter!’ — this is an outrage! What passions it must arouse! Is there hope? In 1916, a French volunteer-soldier wrote an award-winning novel about the ghastly war and the suffering in the mud, ‘Le Feu: journal d’une escouade’. Towards its end, apparently, the characters suggest that the war will not be won by killing the soldier in the opposite trench, but by eliminating the unjust social conditions leading to war. This idea is a hundred years old. We could extend it to our present time, even though it is easier to build walls, drop bombs, slander the Other, exploit fear, and pander to the mob. We could try to shape our world such that we end exploitative supply chains, and that we guarantee freedoms, a life with dignity, and social justice everywhere. Restrictions on travel will be lifted, and the ensuing exchange amongst peoples who regard each other with respect and a little curiosity will convert the nationalist into the patriot — one who loves a piece of land, but does not hate or contemn those who do not belong to it. ‘Le jour de gloire est arrivé’, declares the Marseillaise, and the day of glory will indeed have come.